Have you ever watched the compelling music video shots like “Play” by BJSR, “Nancy Lee” by Vintage Trouble or “This is the Moment” by Kelvin Kaho Tsui? These wonderful compelling music videos are shot entirely on Apple iPhone. Now, with the iOS4.2 free on app store for your iPhone, iPad, iPod, you can make one like these by yourself for the approaching Christmas celebration and enjoy more with new features brought by the Apple iOS4.2. 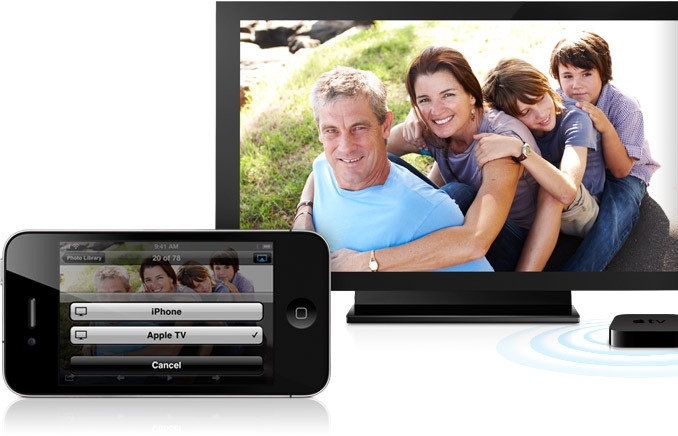 We all know that there is a newly popular function of Apple iOS4.2 upgrade that is AirPlay, which would be a great helper for you to make this Christmas more gratifying, as you can stream the videos you made on your iPhone to widescreen Apple-TV or other AirPlay-enabled devices, therefore makes your happy Christmas enjoyed by more people. Another tool may also play an important role in helping you make a more pleasurable Christmas together with your Apple iOS4.2 upgraded iPhone. That is an iPhone video converter which would help you convert videos to video formats compatible with your iPhone. There is always sometimes the iPhone battery runs out or a HD camcorder is more suitable, thus it would be necessary to convert video formats between different devices and your iPhone to AirPlay your wonderful videos. Also, with an iPhone video converter, so many online video resources would be just a piece of cake for you to enjoy on your iPhone on the go. You can convert the videos you like to your iPhone and then create your own Christmas videos with video clips edited during the conversion, which would certainly add more fun to Christmas celebrating. With these two things, it would be absolutely a cake for you to make your own video shot and then AirPlay on other devices. Want to experience this before Christmas comes? Just move yourself and you would benefit more now rather than Christmas arrival. Noticed the picture on the right with a big indication of “Save 30 USD” of the Leawo iPhone Converter? You can save more than 50% now. In fact, in order to make Christmas much more enjoyable for all people, a big Christmas campaign has been opportunely launched for the 2010 Christmas celebration. During this campaign period, all products on the Leawo official website would make a special offer. And for those Leawo Facebook fans, super-low items and even free Christmas giveaway gifts are available. You can click here to know more detailed information about this campaign and take part in.